In 2015, a Pomona newspaper/website wrote an article about Beck's ties to Pomona. Besides mentioning how he would busk around Second Street "in the early 1990s," and at a sandwich shop called Munchies, they also showed a flyer for a show at The Haven, a coffeeshop there. See the flyer below. 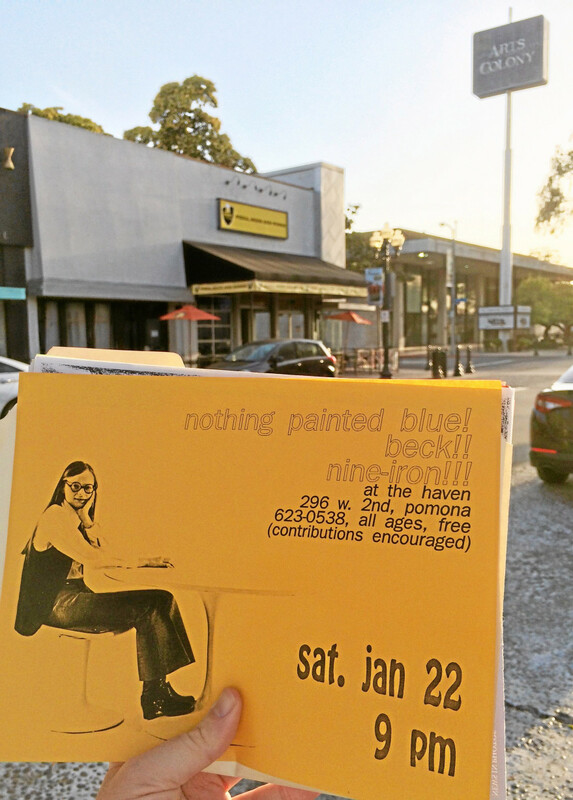 Beck wasn't the headliner at the time the flyer was printed up, playing behind Nothing Painted Blue. But "Loser" had started to get play on KROQ, and he was the main attraction by the time the gig happened.